Kerri’s love for real estate stems from a sincere desire to help others. In 2002, she announced her career change to family and friends and was met with a few perplexed, but supportive looks. Kerri isn’t your typical REALTOR® which is why she has been so successful. She's not a real estate 'salesperson' in the conventional sense; rather, Kerri thinks of herself as a real estate counsellor. She is supportive, honest and always has her clients' best interests at heart. Kerri's pre-real estate background is in Operations. She was the General Manager of National Operations with a major corporation, where her key responsibilities included project management and contract negotiations. 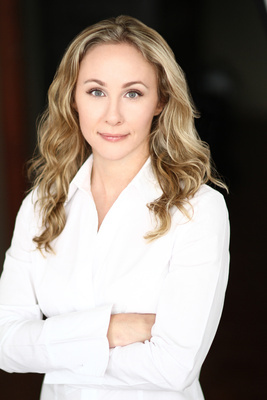 Kerri is also dedicated to learning and takes pride in staying current and apprised of market conditions. Her natural flair for design led to an interest in home staging, which is a great advantage to her clients. She became a Certified Canadian Staging Professional™ in 2007. Kerri is an avid hiker, loves to volunteer and she is also passionate about travelling when she can. 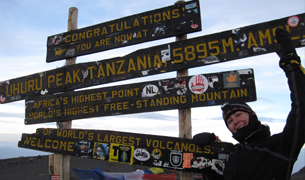 In her latest adventure she was fortunate enough to be able to combine all three with a fundraising climb of Mount Kilimanjaro. She spent time in Tanzania, Africa where she took a hands-on approach to giving back. Kerri travelled to the rural town of Mtwara, Tanzania where her work began. She provided business training for three Business Centres (Naliendele, Mikindani & MTUWETU), and the Mchepa Farm Group. Kerri also performed assessments of entrepreneurs who applied for loans through the Enterprise Development Program. In addition she interviewed families for sponsorships and taught English at the Mnolela and Msimbati Secondary schools. We believe in passion and compassion, which is why they make a great team in changing the face of real estate. We donate 5% of each home sale to create sustainable change by way of education and economic development. You are invited to help improve countless lives by supporting some of the most disadvantaged communities in the world! Please take a moment to review our Corporate Social Responsibility Program, visit Our Projects and see What Our Clients Have to Say! If you would like to speak with Vancouver real estate agent, Kerri Demski, you can reach her at RE/MAX Crest Realty by phone (604) 971-1967, or by contacting her on this site.